This is a beautiful, fully air-conditioned, beachfront holiday apartment equipped with a satellite TV, Wi-Fi, a washing machine and dryer, a dish washer and a telephone. 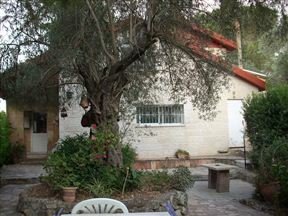 Bet Zayit is nestled on a hill, located about 30 minutes from Ben Gurion Airport and 15 minutes from the old city of Jerusalem. 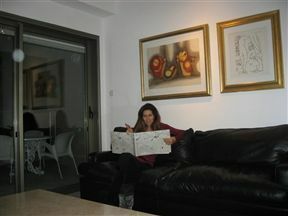 It can serve as a base for touring all over Israel.